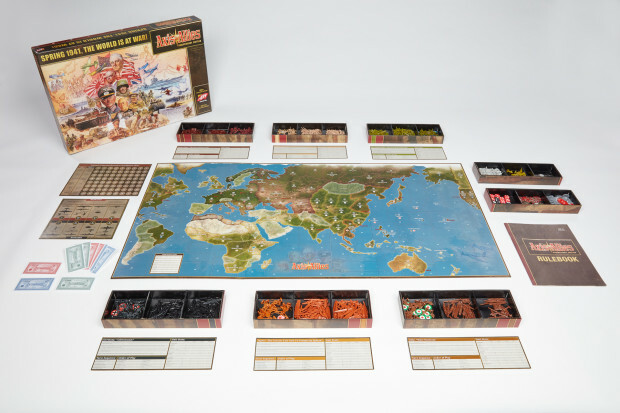 One of the most popular versions of Axis & Allies is making a return to shelves in the Fall of 2017. We have some of the first details about the new release. The target release date for the new Axis & Allies Anniversary Edition is currently October 6, 2017 but Avalon Hill & Wizards do not have an official ship plan yet. The Amazon.com pre-order lists the shipping date as November 1, 2017. We were also provided with the following promotional copy, which conveniently lists out every single piece included with the game! 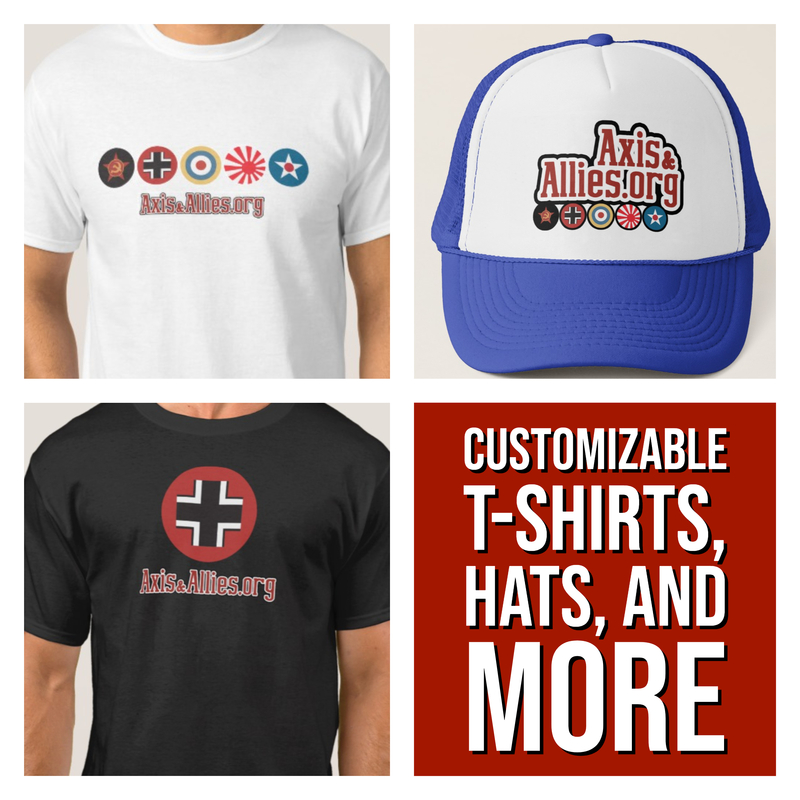 Finally, be sure to check out the photos at the end of the article. 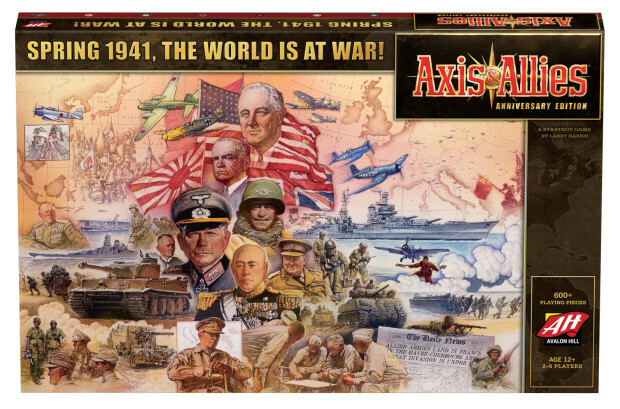 The most celebrated Axis & Allies edition is back! 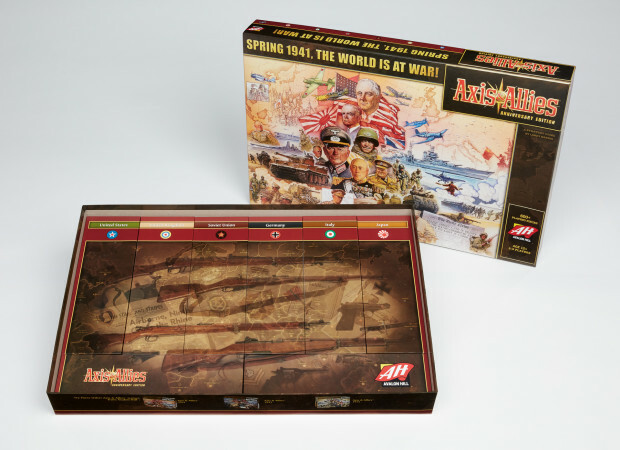 Upon its release nearly a decade ago, the Axis & Allies Anniversary Edition became an instant classic! Now this deluxe board game designed by Larry Harris, returns with errata and rulebook updates. 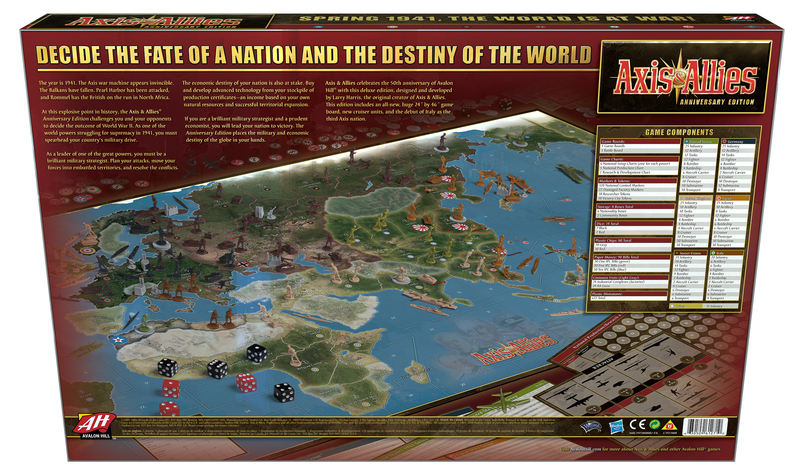 With over 650 playing pieces including the largest board ever created for an A&A game, this beloved board game is a must have for the strategy gamer enthusiast.